Danny Padilla - The "Little" Bodybuilder Who Just Wanted to Win | Crank-It! The sport of bodybuilding is a tall man’s game. But there is one minor character in the breakthrough bodybuilding movie Pumping Iron that deserved a better role than he got in the film and in that competition. That bodybuilder’s name is Danny Padilla. 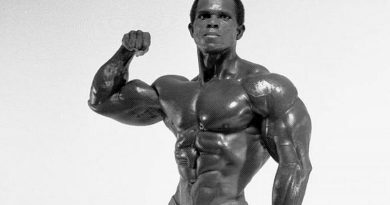 Danny stood out among the other competitors in the Mr. Universe competition that was the backdrop for Pumping Iron partly because was an American boy from Rochester, New York competing with bodybuilders from all over the world. But the thing that many would consider a fatal flaw in bodybuilding that Danny Padilla fought back against for his entire career was his height. But by the time Pumping Iron was ready to be shot, Padilla was already very familiar with the bias for taller competitors in the bodybuilding sport. 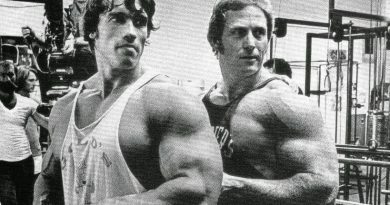 He was also very used to defeating bigger men with his superior training and skill in the area of bodybuilding. He brought that resume to South Africa for the Mr. America competition and for the production of Pumping Iron. From an early age growing up in Rochester, New York, Danny Padilla was had an obsession with bodybuilding. He set out to accomplish his dream to become Mr. America as a teenager and by the age of eighteen, he was ready to compete. His determination to win was rewarded when he won his first competition, Mr. Rochester while still in High School. From there on out, Danny Padilla had just one ambition, to continue to compete in show after show and to continue to win. The career of Danny Padilla was one of moving from win after win prevailing in a sport that favored taller men. After he conquered all the regional New York bodybuilding championships, he set his sights on the top competitions in bodybuilding. But it is when he lost in an amateur competition to a taller bodybuilder of much lesser talent that Danny Padilla moved on to the international bodybuilding circuit. 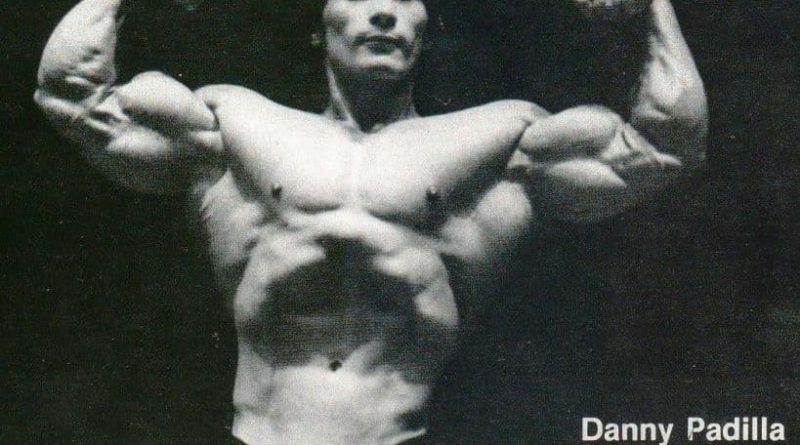 At the young age of 23, Danny Padilla found himself facing his first real international competition against of Arnold Schwarzenegger, Franco Columbu, Robby Robinson in Madison Square Garden in New York. Not only did Danny Padilla hold his own against this impressive roster of bodybuilders, he surprised everybody by winning the competition outright. This proved beyond a shadow of a doubt that Danny Padilla was the kind of top caliber bodybuilder that deserved to go to South Africa to compete for Mr. Universe and to be a part of the upcoming film on the sport, Pumping Iron. But there was a tremendous injustice done to Danny Padilla by the IFBB that rendered the talented bodybuilder just a small role in Pumping Iron. For strictly “political” reasons, the IFBB determined that Danny Padilla would not be allowed to compete for the Mr. Universe title that year so that they could give preference to Mike Katz who was nearing retirement. Danny Padilla proved that he was the kind of professional with a will to win that deserved to be in Pumping Iron. He attempted to compete in the Mr. Universe in South Africa for Portugal. But by this time, the IFBB was facing a real embarrassment if Danny Padilla did what he so often did which was to win against all odds and defeat the bodybuilders that the IFBB was giving favoritism to. They disqualified Danny Padilla so he was not allowed to compete. The result is that in the film, Pumping Iron, this deserving bodybuilder saw much of his footage cut before the film burst upon the world. Once again, the IFBB had a role in making sure that the talented Padilla did not get the showcase in Pumping Iron that he deserved. Like all true champions, Danny Padilla went on to many wins within the IFBB system after that devastating treatment in South Africa. By 1977, Danny Padilla was such an undeniable force in bodybuilding that he won both Mr. America and Mr. Universe in the same year. 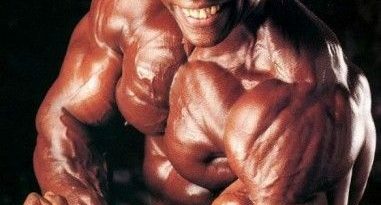 The only other bodybuilder to accomplish that feat was Billy Zane. But it only went to bring to light that the “little” bodybuilder was not little at all because the heart of a champion that was in Danny Padilla drove him to the highest in achievements in bodybuilding, despite the fact that he was denied the recognition he deserved in Pumping Iron.